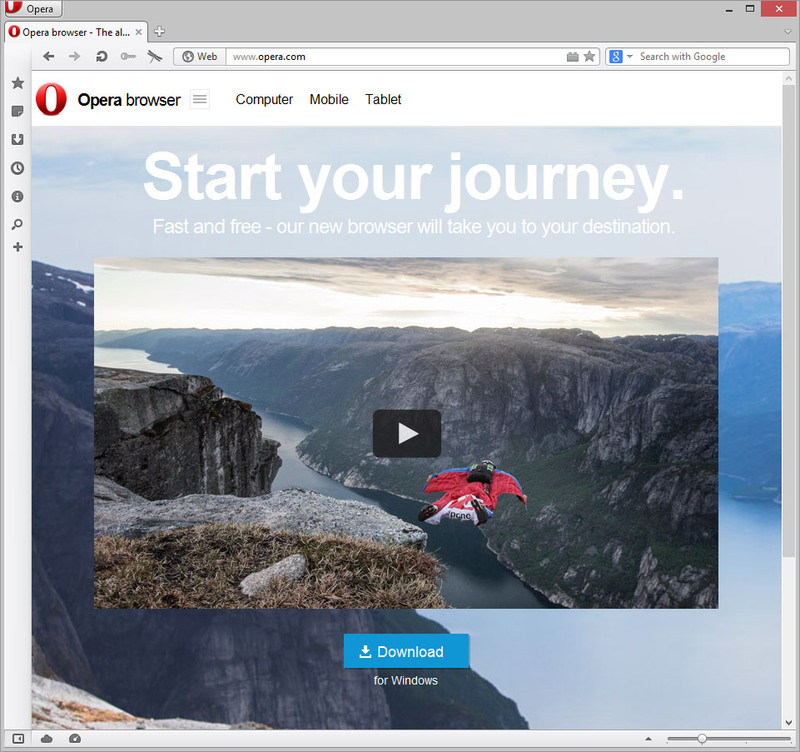 Opera 15 has arrived. Yes, version 12 was the last release but browser numbering has become increasingly meaningless during the past few years. 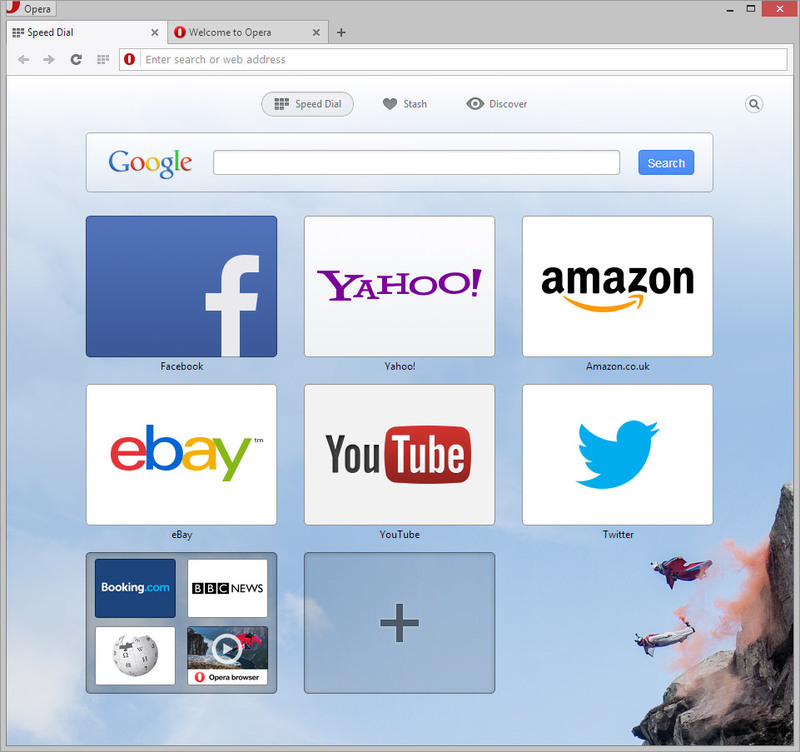 What’s important is that Opera 15 is the first (final release) of a desktop browser to use Google’s new Blink rendering engine — it’s beaten Chrome off the starting blocks. The Windows and Mac OS download is available from Opera.com (Linux is coming soon). The installer file size has increased to 30MB — that’s 2.5x the size of version 12. Once installed, the application requires a little over 90MB. Not excessive, but double that required by the Presto edition. If you have version 12 installed, Opera 15 will install to the same folder but both applications will happily co-exist. Sensible. Personally, I think it’s an improvement and the browser starts noticeably faster too. Perhaps the first feature you’ll notice is the combined address and search bar which shows suggestions as you type. Bookmarks have been merged into Speed Dial. I guess that makes sense, although users with hundreds of bookmarks may be less convinced. Fortunately, Opera has provided a Bookmarks Manager Extension which brings back some of the essential functionality. The Stash is a new feature which allows you to mark a page to read later. You can therefore keep pages in the Stash instead of retaining open tabs which use more resources. It’s a nice idea, although it’s very similar to the Speed Dial and the subtle distinction could confuse some. “Discover” is a news page based on your country and interests. It looks good, although I doubt it’ll entice you from your favorite current affairs website. Then we have “Off-Road mode”. I originally suspected this was an offline setting, but it’s actually Opera Turbo by another name. Seriously Opera, your terminology is confusing enough without changing it every so often! Dragonfly: for now, you can enable Developer Tools to use the Web Inspector. panels: several of the panels such as notes, links and info have been removed. getUserMedia: Opera was one of the first browsers to implement camera and microphone support, but that’s gone for the time being. geolocation: similarly, geolocation has been dropped in the desktop versions of the browser — although it is available in mobile versions. Finally, the M2 email client has been split into a separate application — Opera Mail. Some will complain, but I suspect relatively few people use Opera’s email so it’s a logical decision. few developers tested Opera so you could encounter issues which didn’t affect Webkit, Gecko or Trident. The move to Blink (a Webkit-fork) eradicates these problems in one strike. Everything works as it would in Chrome — you’re unlikely to experience incompatibilities ever again. In addition, the Opera team is contributing to Blink’s development efforts. I like Opera … but is it having an identity crisis? The browser typically appealed to power users who preferred the extensive range of configuration settings. While a leaner set of options could attract more users, there’s already a simple browser which uses the same rendering engine. Is Opera different enough to distinguish it from Chrome? Are you an existing Opera disillusioned by the changes? Or do you prefer the new edition?